We started our day today by souvenir hunting- went to a few stores but didn't find everything I was looking for. Then it was back to the go karts for another few rounds. I tried to get Gerry to go on the segways to try them but he wasn't too interested. Was more concerned for safety with it being on a hill and such, so I didn't push the matter. A quick lunch was at Wendy's then he dropped me off at the shopping mall for over an hour where I got to go to my favorite store- Eddie Bauer and got me some good 50-70% deals! Before 1 pm we headed over to the Promised Land Zoo to catch the Live Animal Show. Then afterwards to have a 2 Toed Sloth Encounter, walk the property to see all the other animals and even met the owner, ( nice guy!). We can't say how much we enjoyed this place. It's a diamond in the rough. Not like your typical zoo and an interesting assortment of animals. We felt the plus sides of the zoo were: friendly staff, well looked after animals, more opportunity here to see animals closer up, or with hands on, nice gift shop and in an easy to find location. The downside of the zoo for people with limited mobilities would be the lower portion of the zoo would be a challenge for them to get up and down on the hills. However, this zoo is relatively new and the owner is working on ways to improve this access for his visitors. We highly recommend you seeing this wonderful place while in Branson or passing through.We as well had the opportunity to see the food prep for the animals and the food they were getting honestly looked fresher than some of the produce we get up north in our own grocery store.! We give this location a 5+ star! Seems like I'm not the only one with allergies. Have been talking to several people that are on holidays here and have also had issues with allergies while visiting here. So if your coming this way and have seasonal allergies, do make sure your aware that it is an area that may effect your seasonal allergies. I have been taking allergy pills within 2 days of getting here, daily. Had to take a cold pill tonight, since allergy pills weren't cutting it for me, and also had to buy eye drops since my eyes were so itchy and red. 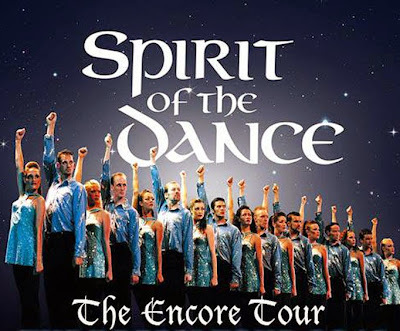 Tonight we saw Spirit of the Dance over at King's Castle Theatre. Went for the Irish dancing and thought the whole show was going to be the Irish dancing but we were both disappointed when we saw the jazz dancing and other routines were added into the show. There was also some singing done in the show by 2 of the gals- nicely done- good voices- and enjoyable. But please note this is not an all Irish dance show, which we thought it would have been.